What Is A Trucking Company Rapid Response Team? What is a rapid response team? After an eighteen wheeler wreck, the truck driver’s first call is to his company. While the paramedics are helping you at the scene, the trucking company is notifying its rapid response team to begin their work. Many trucking companies (and their insurers) have Rapid Response Teams “on call” and ready when an accident occurs. These teams can consist of defense attorneys, accident reconstructionists and investigators. They will be at the scene within minutes! How Does A Trucking Company Rapid Response Team Impact My Claim? Trucking companies will tell you their Rapid Response Teams are sent to the scene in an effort to document and preserve evidence. But, many of these trucking professionals take much broader roles. A few act in ways that are unjust or unethical. I recently read some promotional materials one defense lawyer uses to market his participation in a trucking Rapid Response Team. That defense lawyer wants trucking companies to send his team to the scene (while law enforcement is still present to protect you and other motorists) arguing “managing the crisis is of utmost importance.” Crash or traffic crisis management? Isn’t that law enforcement’s job? Take note — the police officers and paramedics are on the scene working to save your life and protect other motorists. Yet, that lawyer believes he should manage the scene during this chaos. It’s one thing to investigate a scene. It’s another for trucking companies to interfere at a time when law enforcement is trying to get the injured from the scene. And, it’s even worse when the same trucking company people “mold” the evidence to fit their defense. I can speak from experience. One of my trucking cases really stands out! It was the middle of the night on a rural stretch of Alabama Interstate. A commercial truck crash left a lady barely alive at the scene. Every second counted. She needed immediate help. What did the truck driver do? He refused to exit his truck. He refused to help. He refused to call 911. Instead, he stayed in his locked truck and made multiple calls to his company dispatcher. The trucking company immediately dispatched its Rapid Response Team. The trucker remained in his truck refusing to communicate with anyone at the scene until the Rapid Response Team arrived. Our story takes a strange twist after the Rapid Response Team arrived. For reasons he would not explain later, the investigating law enforcement officer destroyed his initial report and wrote a second one much more beneficial to the trucking company (after several conversations with the trucking company team). The key accident eyewitness left the scene before giving a statement (and later said an “official looking” person at the scene said he could leave). The truck itself was removed from the scene and cleaned before a requested inspection was allowed. During our case, we learned all these things only because we had investigators who chased every lead. I’m not saying Rapid Response Teams are always guilty of unethical conduct. I am saying the trucking companies will immediately work to gather evidence needed to defend themselves. They have a very real advantage over you. 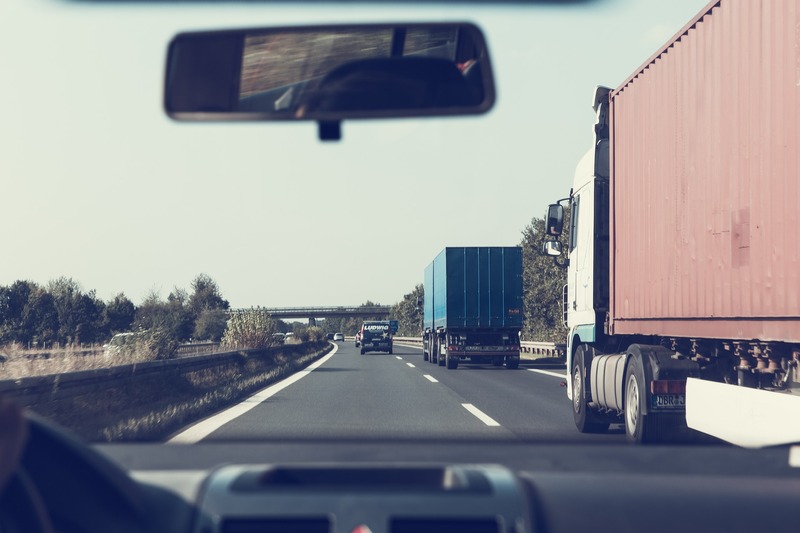 What Steps Should I Take If Hurt By A Commercial Truck? After a truck accident, the trucking company has a real advantage in beginning to prepare its position. That’s why you should act promptly. If your injuries are severe, you may not be able to do anything at the scene. However, if you have a passenger who is unhurt or family member who arrives to help, they can take photographs and get witness names. After a truck crash, document everything you can. It’s also important you hire legal counsel who understands these unique claims. These crashes are not like accidents between two passenger cars. Your attorney must be able to begin investigating the accident promptly. Your attorney must have a team of accident investigators who can gather needed evidence. Your attorneys must understand the regulations and relationships involved in commercial trucking. Most importantly, your attorney must work hard to level the playing field in these complex cases. At the Blackwell Law Firm, we represent people across Alabama who have suffered serious personal injuries. Many of our clients were injured in car and truck crashes. Outside of the courtroom, we advocate for driver safety. You can read some of our articles on this blog.